The Santa Ynez Valley is full of amazing destinations for a wine enthusiast like me. It’s my Disneyland! In fact, I call it “THE happiest place on earth”. Of course, my kids would beg to differ but that’s my story and I’m sticking to it. Speaking of a happy place, there’s one you will need to try if you haven’t already. 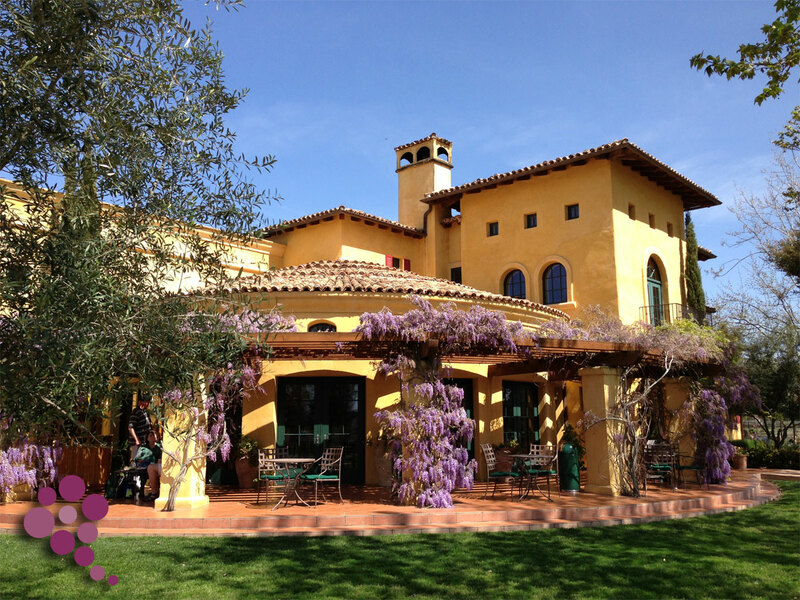 Located between the cities of Lompoc and Buellton, Melville is a Mediterranean-style estate winery. They pride themselves for exclusively producing wines with wine grapes harvested from their own vineyards. Melville Vineyards & Winery is located within the Sta. Rita Hills appellation, in the western part of the Santa Ynez Valley. Melville’s Estate features a beautiful picnic area where everyone is welcome to relax and enjoy life among the vines… Oh and of course, do a little wine-tasting. Melville spared no expense building this state-of-the-art tasting room and wisteria patio that makes most French châteaux a thing of the past. Quite honestly, it would be a crime to visit this place and not try their wine. My friends and I took a “ride” through the world of Melville. Our wonderful host and guide Jules Reuter, gave us an experience that will be tough to beat. He took us through an amazing journey and made us discover the wonderful world of winemaking, from the vineyards to the winery, and all the complexity and intricacies of growing and making wine. Armed with only 2 iPhones, Wine Ponder has put together a 4-part documentary video about our visit. We’re proudly releasing part 1 and hope you will enjoy it as much as we do.